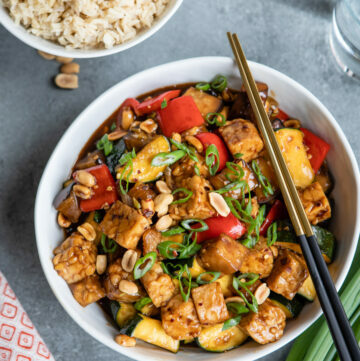 Between the bugs, the harsh sun, and the soggy grass, is it wrong that our favorite thing about picnicking is the food? I mean, enjoying the great outdoors is fine and all, but for some of us, it’s more about tolerating the outdoors and enjoying a sandwich. 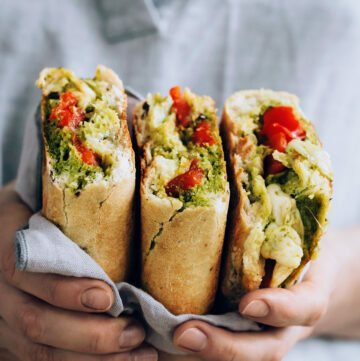 And if that’s the case for you too, you’re going to love these meatless sandwiches and wraps that are perfect for a picnic–they can be made in advance, they travel well, and they’re so delicious that no one will miss the lunch meat. 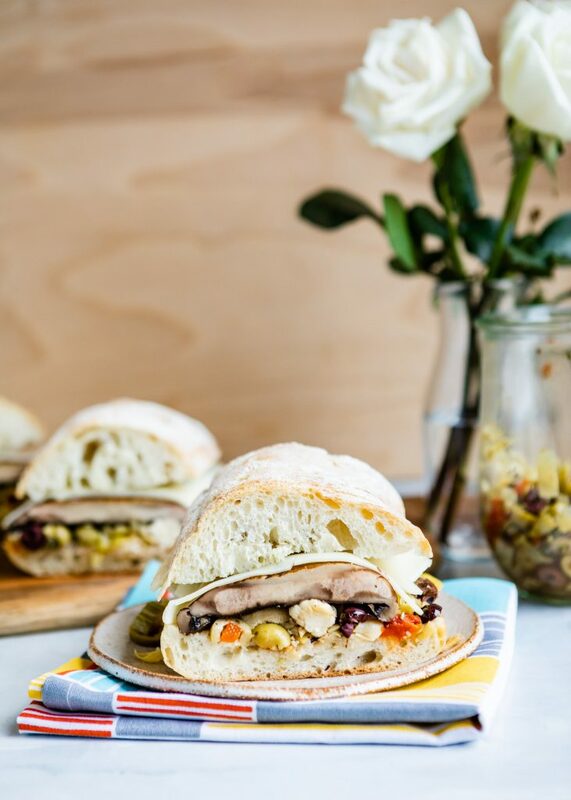 Our little secret to keep the homemade olive salad from making this sandwich soggy? Store the sandwiches upside down! 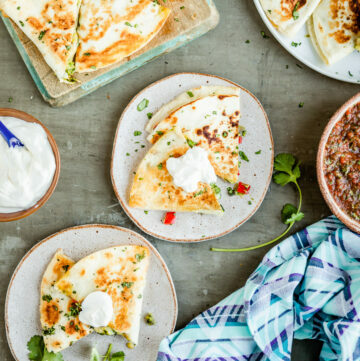 A surprising ingredient (spoiler: it’s hearts of palm!) 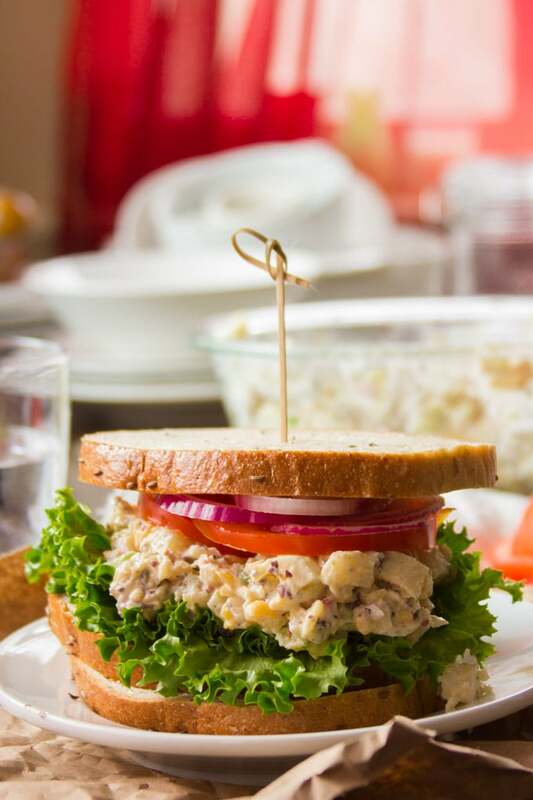 makes this plant-based tuna salad almost like the real deal. 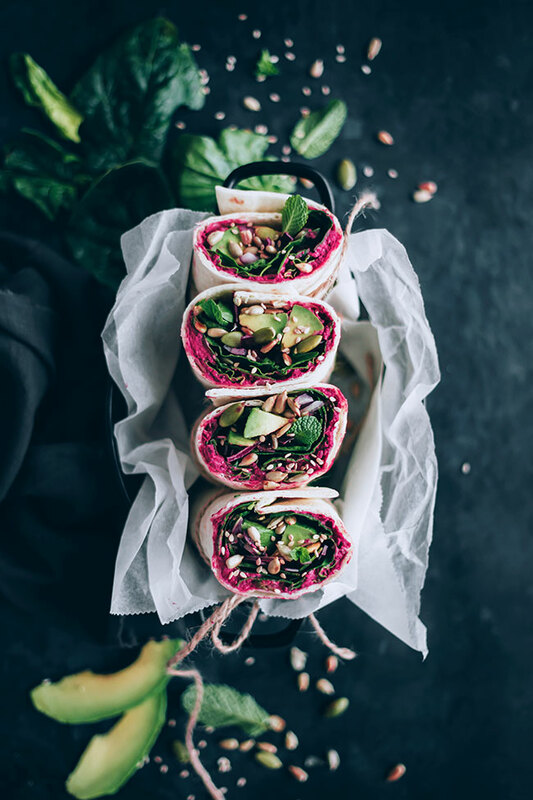 Vibrantly colored beet hummus make these wraps a show-stopper–and we love the addition of sauerkraut for a probiotic boost. 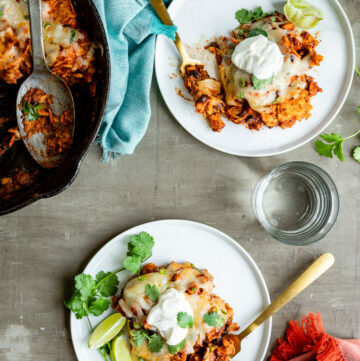 Do you love a little sweet with your savory? 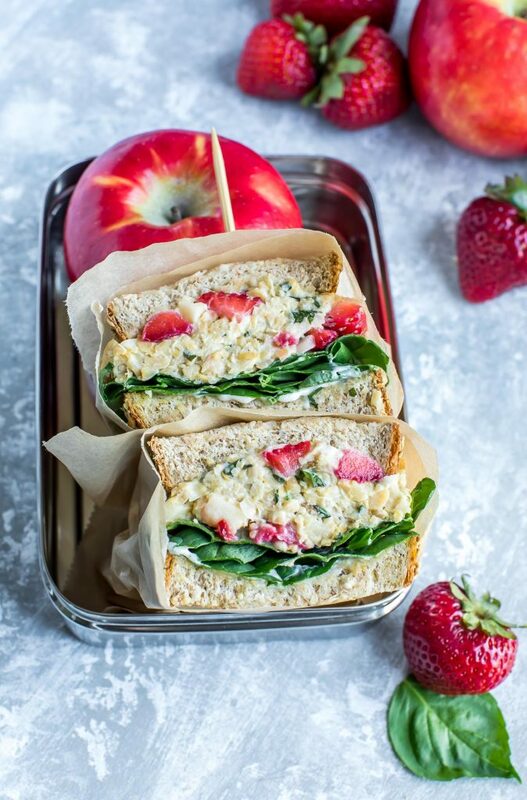 You’ll adore these chickpea salad sandwiches made with honeycrisp apple and fresh strawberries! 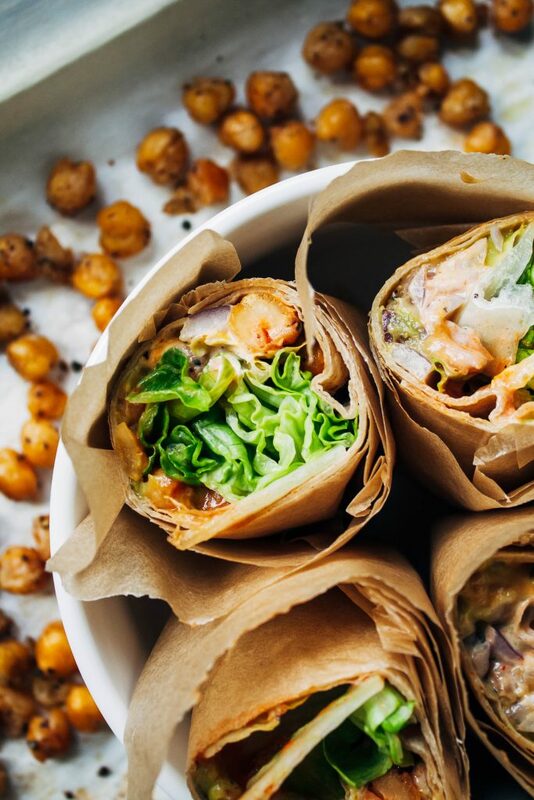 Spicy chickpeas, cooling ranch, crispy romaine–these wraps are totally irresistible. 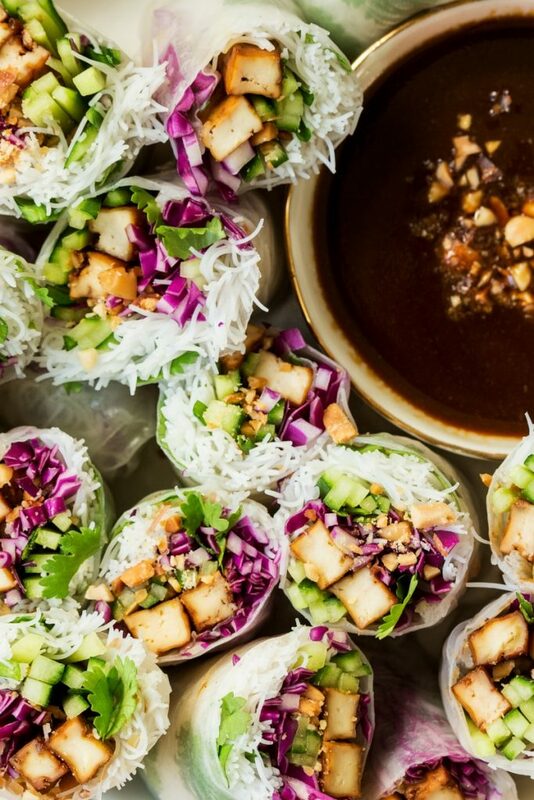 If you want to keep lunch light, these beautiful summer rolls can’t be beat. 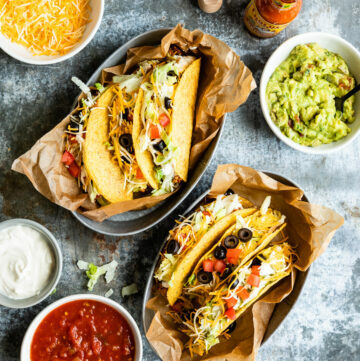 Don’t forget to pack sauce for dipping! 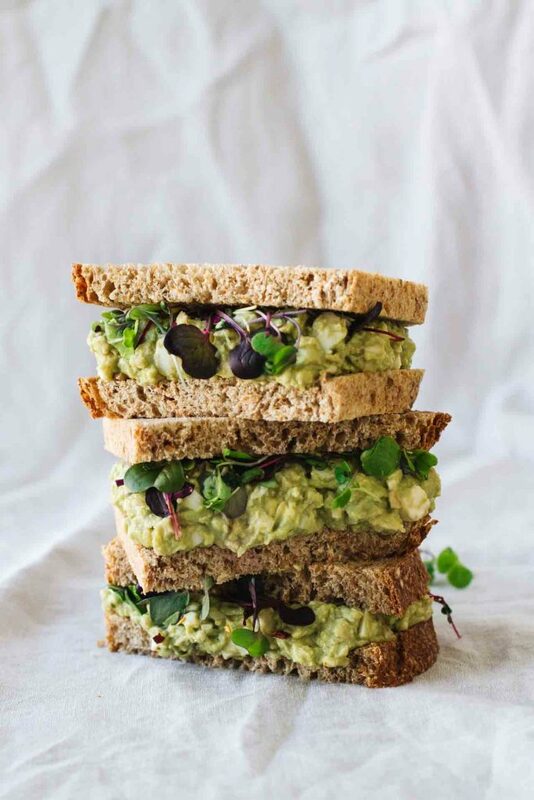 Upgrade the classic egg salad sandwich by adding avocados and protein-packed Greek yogurt.